Special events, meetings, and receptions are effortless at the distinguished Briscoe Museum’s Jack Guenther Pavilion. 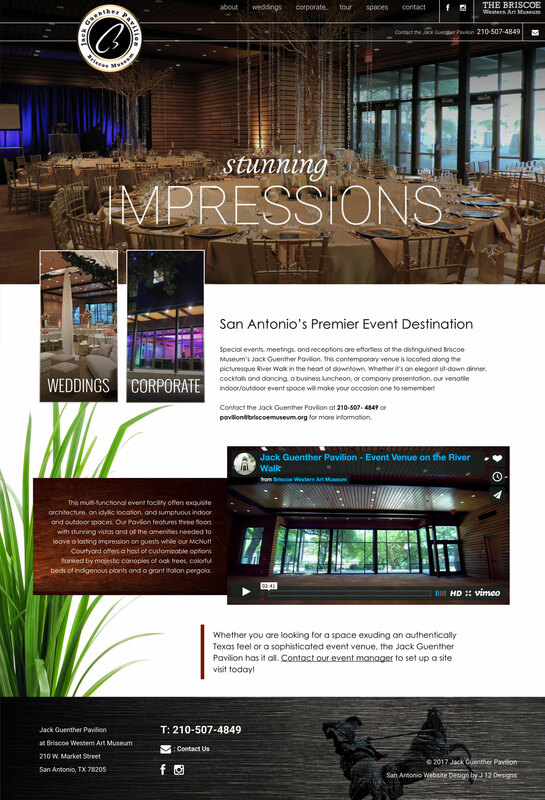 This contemporary venue is located along the picturesque River Walk in the heart of downtown. The wanted to have a separate site from the Briscoe Museum and called J 12 Designs to make it happen.